Carl Andrews is a twice–elected New York State Senator who served as Deputy Campaign Manager on Former Secretary of State Hillary Clinton’s 2000 U.S Senate campaign. Mr. Andrews was a key advisor in Eliot Spitzer’s successful campaigns for Attorney General and Governor in New York state and was the coordinator for Bill Thompson’s successful crusade for New York City Comptroller. Mr. Andrews is one the most respected political strategists in New York State and his firm‚ Carl Andrews & Associates‚ presently represents some of the top Fortune 500 companies in the world. Mr. Andrews began Carl Andrews & Associates in 2009 after representing the citizens of Brooklyn in New York’s 20th Senatorial District for four years‚ rising to the position of Democratic Whip in the first year of his election. 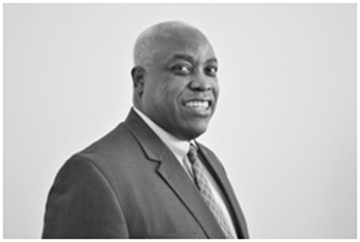 As CEO of Carl Andrews & Associates‚ Mr. Andrews has successfully built strategies and implemented legislative and advocacy on behalf of his clients‚ drawing on his unique understanding of government and the relationships he has cultivated in both the public and private sectors. In a span of three decades‚ Mr. Andrews has held numerous positions in government at the local and state level‚ including Special Assistant to New York’s Secretary of State and Assistant Director of New York State’s Black and Puerto Rican Legislative Caucus to Director of Intergovernmental Relations with the State Attorney General. As Deputy Secretary for Intergovernmental Affairs to Gov. David Paterson‚ Mr. Andrews made recommendations for increasing minority participation as an appointee to the Task Force on the Utilization of Minority and Women–Owned Business Enterprise. Mr. Andrews has been a civic leader throughout his career. At the tender age of 21‚ he was not only elected to Brooklyn’s District 17 School Board‚ he participated in Andrews vs. Koch lawsuit on redistricting‚ which helped shape the current 51–seat City Council in New York. Mr. Andrews taught as an adjunct professor at his alma mater‚ Medgar Evers College‚ the College of New Rochelle and the City College of New York. He is a graduate of the State University of New York at Albany‚ where he received a Master of Arts degree in African–American Studies.